A close call turned into a wake up call for the King of Rock and Roll as paramedics responded to an emergency at Elvis Presley’s Whitehaven Graceland mansion. Staff reported finding the 42 yr old star face down and unresponsive in his bedroom Tuesday afternoon. Emergency measures were quickly taken and today finds the star resting comfortably in a Memphis hospital after an apparent heart attack likely brought on by demanding personal and professional pressures. Above is the headline we all wish had been front page news that ever bleak Wednesday. Instead, the shocking intensity of a new unwanted foreverness is etched in our minds. The summer air hung heavy not only with deep sorrow and shell shocked faces, but hearts shattered to hear the awful truth were scattered across the globe. Elvis was indeed gone. His beautiful voice forever silenced and his larger than life persona had succumbed to the dead end of a lonely street. It didn’t matter where you came from, how old you were, where you lived, your economic circumstances, or your education. Tragedy is a common denominator and sadness of spirit an equal opportunity emotion. Whether you had known him personally, seen him in concert, watched his movies, listened to his records, or followed his personal life in the gossip rags, it didn’t matter. You knew him. There was a collective unspoken bond of loss. He was family. He was loved and adored and cherished as America’s rags to riches success story hero, a son, father, and a friend. He was the man of many day dreams and the hero of many imaginary tales. As sad as the terrible reality is, I often think of the “what if”. What if he’d been revived? What if it had only been a close call? What if that brush with his mortality had indeed saved and impacted the rest of his life? I know you must be thinking it’s simply a fan fantasy on my part but in some ways, it helps me tremendously to think along these lines. Things should not have happened the way they did. So humor me while I imagine our man in the 80’s and 90’s, and beyond. I firmly and honestly believe Elvis was on the verge of serious and major life altering changes, cleaning house, trimming the fat and moving forward in every area of his life. He needed change, a challenge, a new summit. Like most fans, I’ve read account after account of his life, some a bit stretched, some obvious fiction, but many of which point in the same direction. In reading some less than objective viewpoints, keep in mind much is opinion which can’t be verified as our beautiful subject isn’t here to confirm or deny. We can only surmise from the compilation of accounts and draw our own intelligent and reasonable conclusions. Or not. So much of his life story stems from his 1956 fiery burst upon a stale and stagnant cold to the touch music scene, one previously only topped with a sweet plain vanilla swirl and a smattering of colorful sprinkles. His style and persona captivated and coordinated a spicy change that has never been duplicated. Modern music was not only influenced, but forever changed. The spark from that flame intensified and grew and in reality, it’s almost impossible to remember when he wasn’t. I’m thankful for that. The 60’s brought the return from the Army service years and the wildcat was tamed a bit, as most men are when they mature. Or not. His movie years provided a backdrop for song after song and a vehicle to keep his name in the news, some stories more memorable than others but there is no denying his steady place of stature in the hearts of his fans. 1968 changed him – and changed us. In the counter culture hippy dippy world, the bad boy rock and roll king was firmly re-established upon his royal throne for the remainder of his career and did what any king would do – he took his show on the road. Again, thankful comes to mind. In today’s modern world, mention Elvis Presley to the majority of the public and only one of two sights pop out – 1956 hip swiveling Elvis and 1977 jumpsuit Elvis, with little thought of all that lay between. But rather than go into all that twenty year span entailed, I want to see 1978 as a new beginning for the Memphis boy who still clung tightly to his steady Tupelo roots. Say what you will about Elvis Presley, he never forgot the beginning of his story. Fan after fan account describes a man who understood a tall and mighty oak was fed from deep underground roots. There is a core base and all the strong branches and lush leaves are nourished from there, same as our man knew his loyal fan base fed him and provided his strength. According to him, he may not have understood the why of his fame, but he always knew the who which had put him there. Always. 1978, 1979, 1980 would have found an Elvis happier, healthier, and maturely secure, out of the limelight for a time while he was restored. Perhaps a genuine love would have been part of the personal story, but professionally I’m certain world travel would have played a huge part in the next career steps. Elvis knew the love wasn’t contained between the Pacific and Atlantic shores. He knew there was a big bright world out there and he knew and appreciate his foreign and international fans, fans which only had second hand knowledge of him as he’d never toured globally. Every account I’ve read states he had a great desire to entertain overseas. Japan, Europe, Australia, South America – just imagine Elvis in Tokyo, Elvis in Paris, Elvis in London, Elvis in Sydney! A solid sold out world tour would have quickly become the standard that by which every other artist going forward would be measured. Not only that, it would have provided new purpose and a new energy for the second twenty years of his career. I can see it so clearly. The 2000’s would have brought a steady but well deserved slower pace. I can see him picking and choosing when and where to perform worldwide, without the unrealistic and grueling schedule of the 1970’s. Perhaps an engagement or two each year in Vegas and Tahoe, select performances within the United States and even more importantly a continuation of giving back to his International fans as he always expressed a strong desire to do so. His fans put him on the hill, all of his fans, everywhere. He knew, he respected, he appreciated. He just never got the opportunity to put his appreciation appropriately in place. Time was a thief. 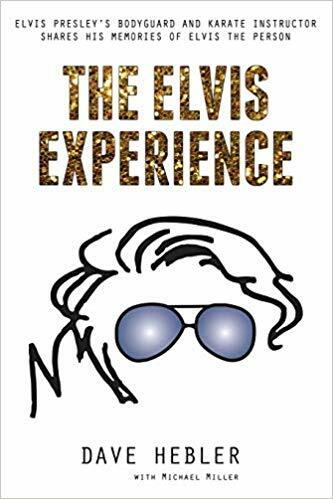 In light of the actual reality of events after 1977, EPE and Graceland has been presented the opportunity to follow up where the man unfortunately could not. Opening his beloved Graceland mansion to share with his fans has forever engrained his spirit of hospitality and pride to dispense all that was bestowed on him. You feel a true sense of his desire to be in touch when you enter that foyer. It’s a very real and very important portion of the Presley saga. Beyond that, beyond the sea to shining sea American tale, there is a deeper story. Just as you look off into the horizon when standing by the vast Pacific, in the distance just beyond eyesight is a much more vivid blue with depth and power and intensity and strength. Just as Elvis drew his strength from his local fans, there is a great potency and force from those who purposely went the extra mile to express their adoration. Loving Elvis was not as easy and accessible for them. They went the extra mile, both literally and figuratively, in their travels and in their expression. A welcomed International exhibit is something Elvis would want. A generous thank you for their passionate fervor in supporting their adopted son and a wholehearted appreciation and recognition is the only answer. Other countries purposefully demonstrated their love and they deserve a reciprocal show of support. The cover artwork from early on was their outreach. It didn’t stop with the 50’s baby or 60’s love child. The 70’s and beyond also found a stamp of approval on the grown up Elvis. Love begets love. No way is it more expressed and validated than when it is intentionally returned, exactly as the King would have done in thanking all those who supported him. An International exhibition needs to be included. Just as sorrow is universal, so is love and an International display is the right and respectful addition for Graceland to answer with the universal love language of thought and thankfulness. Previous Previous post: 👑 Graceland – What Now, What Next, Where To?